Updated 8.15pm with Adrian Delia reaction below - Tourism Minister Konrad Mizzi engaged an international reputation consultancy firm in April 2016 to gain access to all Panama Papers correspondence in which he and his Panama company were mentioned, leaked documents show. Dr Mizzi has mounted his defence against reports about 17 Black by claiming ignorance of a December 2015 e-mail sent by his own financial advisers Nexia BT, in which 17 Black was identified as one of the main sources of income for his offshore firm. The e-mail was found in the Panama Papers leak, a trove of documents leaked from the Panama law firm Mossack Fonseca. Dr Mizzi said last week during an interview on Saviour Balzan’s TVM programme Xtra that he had only found out about 17 Black “from the media”. 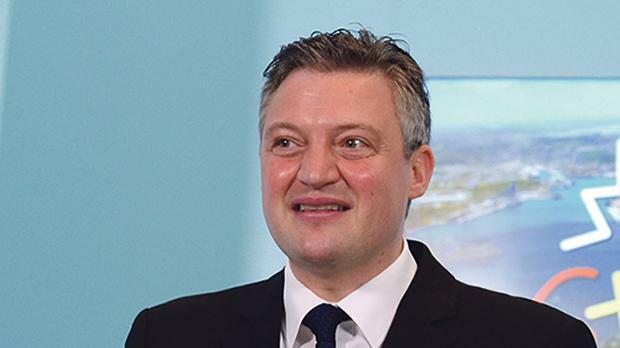 Documents seen by The Sunday Times of Malta show the London law firm Schillings demanded that Mossack Fonseca hand over all documents, e-mails and letters involving Dr Mizzi. “Our mutual client is understandably concerned and aggrieved by the recent leak of his private and confidential data from your systems to an investigative news agency. “As a consequence of the leak our client is being asked to respond to questions from the media (and beyond) that he is incapable of answering without sight of the entirety of the personal documentation that has been leaked,” the Schillings letter to Mossack Fonseca read. Upon receipt of the letter, Mossack Fonseca’s legal director in Panama Sarah Montenegro ordered that a “complete file” be compiled in order to comply with the Schillings request, leaked correspondence shows. Mossack Fonseca’s New Zealand branch sent Schillings what they described in one leaked e-mail as “extensive” documentation about Dr Mizzi’s trust structure. The December 2015 e-mail about Dr Mizzi’s plans to receive up to $1 million from 17 Black through his Panama shell company Hearnville was sent by Nexia BT to Mossack Fonseca’s Panama branch. Replying to questions from this paper, a spokesman for Dr Mizzi said the minister “could not confirm” that Mossack Fonseca provided all correspondence to Schillings. Questions about why Dr Mizzi had failed to take legal action against Nexia BT if he did not plan to have any involvement with 17 Black were ignored. The spokesman reiterated the minister’s claims that he has no direct or indirect connection with 17 Black and that he only learnt of the company through the media. A follow-up question asking if the minister was saying he had not seen the 17 Black e-mail in the documents provided to Schillings was not answered. When the 17 Black e-mail was first published by the Daphne Project in April, the Prime Minister’s chief of staff Keith Schembri confirmed its authenticity by releasing a statement saying 17 Black featured in “draft business plan” compiled on his behalf by Nexia BT. In a reaction, Opposition leader Adrian Delia said the revelations showed that Konrad Mizzi knew about 17 Black and was lying when he said he didn't. Dr Delia said the prime minister needed to take the decision he should have taken a long time ago to fire Dr Mizzi and chief of staff Keith Schembri in an effort to safeguard Malta's reputation. Not doing so would show that the prime minister's hands were tied, Dr Delia said.